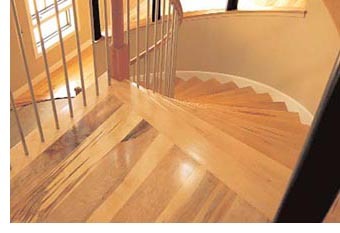 Galebach’s Floor Finishing is the oldest floor finishing company in Lancaster County. The company was founded in 1924 by John K. Galebach. At the time, John was a carpenter, who built stairways, installed flooring and finished it. One thing he did not enjoy was scraping floors by hand, which was how things were done back then. One day he saw an advertisement for the first electric floor sanding machine. He decided to order one. It arrived by train in Manheim where John picked it up and began putting it to use. John’s son, Harold, grew up watching his dad and learning about floor sanding and finishing. After graduating from business school and serving in the Air Force, he joined the family business in 1948, eventually taking over the company when his dad retired in 1961. Harold’s son, John, grew up working part-time with his father. He joined his dad in the business full-time after graduating from college. In 1989, John took over the company when his father retired. In 1997, John died and John’s wife, Karen Galebach Haldeman, who had been working in the office, took over the company. She has been running the business ever since and currently has five full-time employees. She believes in treating each job as if it were being done in her house - with true craftsmanship. Galebach’s Floor Finishing is a proud member of the Lancaster Historic Preservation Trust. Karen’s home won the C. Emblem Urban Preservation Award in 2008 for the best residential restoration project in Lancaster County. 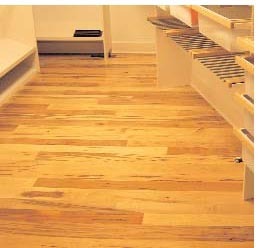 At Galebach's Floor Finishing, sanding and finishing hardwood floors is all we do, not a sideline. All of the photos on this website are actual jobs completed by Galebach's Floor Finishing. Whether your floors just need a good cleaning and recoating or a full re-sanding, contact us today at 717-898-9680 or at info@galebachsfloorfinishing.com for a free estimate. Short on time? Snap a photo of your project and send it to us, along with measurements, for a free and easy estimate. Galebach's Floor Finishing - we stand on our reputation!